California’s plan to reduce greenhouse gases picking up steam? If California were an independent nation, it would be the world’s 12th largest emitter of greenhouse gases (GHG). That is a profound thought. The Golden State’s got a plan, though. And what a plan it is, apparently! The California program – the Sustainable Communities Strategies (SCS) initiative (an outgrowth of California Senate Bill 375: the Sustainable Communities and Climate Protection Act of 2008) – implemented in at least four of 18 cities so far or about to launch (in coming months) in the remaining communities, has been created and adopted to appreciably lower state GHGs. 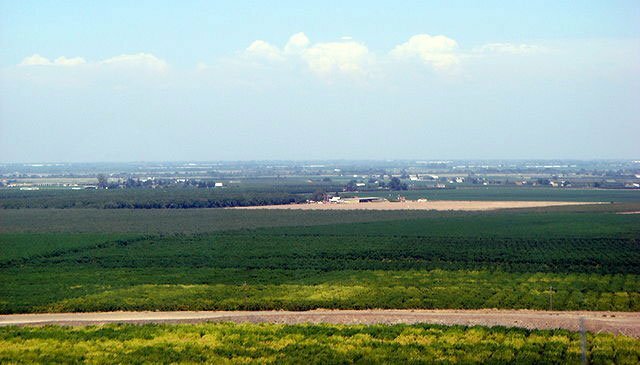 As a matter of fact, I first reported on Sustainable Communities Strategies on the Air Quality Matters blog in: “Conferees fail to reach consensus at San Joaquin Valley clean air workshop.” That was on Nov. 8, 2012. At that time I explained, “On November 7th, I attended a Regional Transportation Plan/Sustainable Communities Strategy (RTP/SCS) public workshop for the county of Fresno in California’s San Joaquin Valley. This is a pretty good summation of the issue if I do say so myself. And not to be overlooked is: that the single largest contributor (38 percent by weight) of GHG emissions comes from the transportation sector, around three-quarters of that emitted from cars and trucks, it should be no surprise that transportation is a major focus area. As it relates, almost two months ago, Autumn Bernstein on the ClimatePlan blog provided an update. Regarding Bernstein’s Jan. 27th “update,” during the week prior the California Environmental Protection Agency Air Resources Board (ARB) convened a meeting having to do with this very issue. The main topic of discussion, apparently, was the SCS GHG emissions-reduction targets. A couple of paragraphs later in the same document, the ClimatePlan Director went on to point out that the GHG targets ARB assigned in 2010 and those already approved, presumably, were either already met with flying colors as it were or, in fact, were thus far exceeded. The “one or both” in the above sentence, I take to mean for target years 2020 and/or 2035. In concluding, Bernstein seemed quite resolute. As it stands and being that the above review seems mixed, how best to proceed going forward is the question. Not to be forgotten though with regard to all this is that the Golden State is a major contributor to world GHG. Oh, and one more thing: As if California didn’t have enough on its plate already, California Senate Bill 4, passed only recently, in effect, grants conditional drilling rights to the vast (and I do mean vast) oil reserves of the Monterey Shale formation – the state’s modern-day Mother Lode. The impact on the environment – air and water – that tapping into this so-called “gold mine” will have, that is, in the grand scheme of things, at this time remains unclear. Moreover, it is difficult to say whether there will be a net GHG rise, decline or even if such will stay the same as a result. In looking on the bright side and the Monterey Shale venture aside, make no mistake: the great thing about the SCSes is that if thorough enough and followed through on, this could indeed have a profound positive effect on the air. And that right there is cause for optimism. If this plans of reducing green house gases from picking up steam succeed, then the negative impacts of increase in atmospheric temperatures will be a problem of the past. Heavy industries usually emit steams which are picked up by green houses gases. If they manage to invent something to control the steams, they may help the atmosphere to recover.